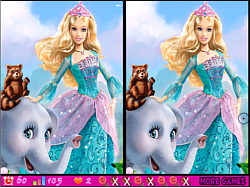 Biby, Find the Differences Game - ArcadeGames.com - Play free arcade games. Your mission is to find all differences in this amazing game. Finish all four levels and show to all that you are the best. Good luck!